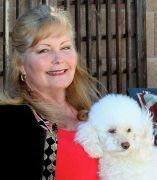 Added by mary katherine k.
Meet local people interested in astrology (fans, students and professionals) and talk about it! What's in your stars? 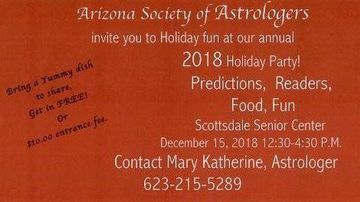 Our parent group, The Arizona Society of Astrologers, has members from all over the Valley of the Sun! However, you do not have to be a member of ASA to attend the lectures and seminars! Professional speakers are scheduled the third Saturday of every month from 1:00p.m. to 4:00p.m. Current programs are held at 1700 N Granite Reef Rd. in Scottsdale near the 101 and 202 in Room 8. Cost is $20 for members and $25 for guests. We currently are not set up to take credit cards. ASA was founded in 1973. We have over 100 members, of which 10% are actual professional astrologers in some capacity. 90% of us are on a life-long learning curve. Come and join these lectures with us! 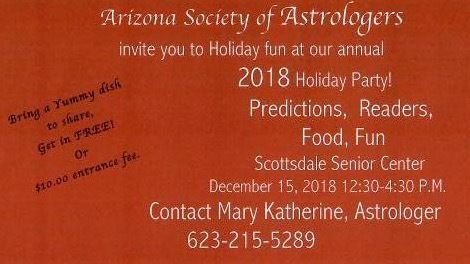 You can also purchase both new and used astrology books at the meetings. Again, no charge card system, cash only. 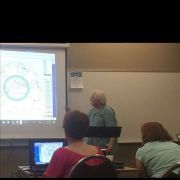 Visit our website at www.azastrologers.org for details, free charts and lots of good astrology!